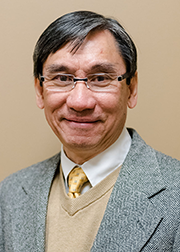 Dr. Nguyen completed his undergraduate, medical school, and his residency in Internal Medicine at the University of North Carolina in Chapel Hill in 1992. After finishing his Cardiology fellowship at the University of Virginia, he worked in West Virginia in conjunction with the University of Virginia and subsequently with the University of Pittsburgh Medical Center. He has practiced in Charlottesville since 1998. He is board certified in Cardiovascular Disease. His areas of interest include invasive and non-invasive evaluations, prevention, and treatment of heart disease.